This half term, the children in Year 3 have been learning about volcanoes. The children have discovered why volcanoes erupt, the different types of volcanoes, what tectonic plates are and lots of other information. All the children in the class were asked to make some form of project about volcanoes and 4 children made volcano cakes which we were able to eat in class. This last week the children have written instruction for making a model volcano which they will make erupt later in the week. Below are some photos taken of the volcano cakes and the volcanoes the children have made in class. This half term the children in Year 3 have been learning about Pentecost and how it is celebrated in the Catholic church. 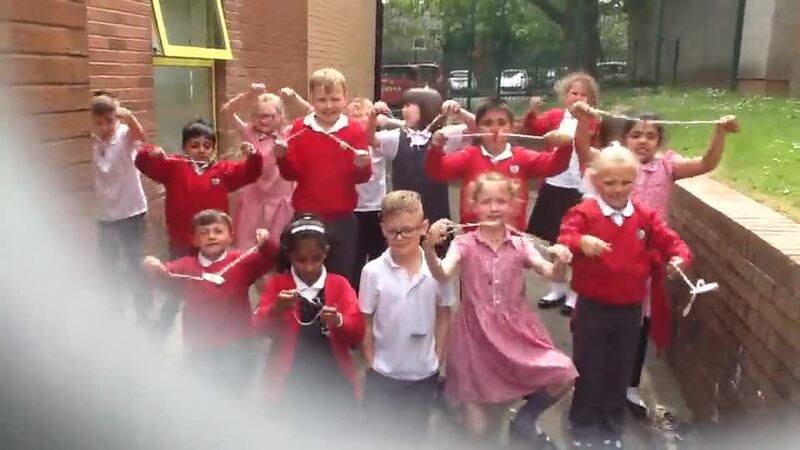 The children have made wind spirals to represent the wind and flames and also spinners to represent the Holy spirit. On Friday it was our turn to celebrate our class assembly. The children told the rest of the school about Pentecost and how it is celebrated and also retold the story of the first Pentecost through a short play. Below are some photos taken of the spinners and a video clip of them in action.